Greetings everyone, my name is EldritchCherub and I’m here to discuss my experience while working on D.S. Dal Segno. Following in the footsteps of Da Capo 3 comes a love story set in the same universe, albeit this time on Kazana Island, a location known for its perpetual summer and bountiful happiness. Instead of the looming power of the Eternal Cherry Blossom Tree, we have the snowprites, individual entities that emit cool energy to regulate the temperature on the island. It is reminiscent of Resort Island in Da Capo 3, only on a much grander scale. There are a handful of references to its predecessor peppered throughout Dal Segno, with the most obvious one being the return of the Amakase Laboratory and their application of advanced technology. Ame is Professor Amakase’s magnum opus, being a high-spec AI with the capacity for emotions that is in charge of the island’s upkeep and the happiness of all of its inhabitants. How many references to Da Capo 3 can you find scattered throughout this tale? If I had to pick a favorite character, it would have to be Io Kozuki. It was a treat augmenting her already eloquent lines whenever she made an appearance in the story. Io’s persona is similar to that of a proud ruler overlooking her loyal subjects, so I did my best to reflect this strength and confidence in her lines. Io is the kind of person who chooses her words carefully before speaking, lest her followers lose faith in her charismatic appeals. Her being a naturally gifted writer only lends credence to this fact. While Io possesses an unshakable bravado, genuine warmth still manages to seep through in her interactions with the protagonist. Io puts the protagonist at ease right after the beauty pageant when she realizes he’s become dejected at the prospect of spending less time together. She promotes the protagonist from ‘acolyte’ to ‘inamorato,’ the latter being a word that means male sweetheart or lover. The original Japanese word she uses is related more to kinship than love, though, so I took some liberties here in choosing a more appropriate word that encapsulated the same sentiment. Considering she’s an erudite speaker and the protagonist’s following thought comment stating his definite confusion about its origins, I decided to search for a substitute in another language. Finally, after a prolonged search, I settled on the Russian phrase ‘zadusevnyj drug’ which means soul friend. This term does not directly allude to love, but does hint at a much deeper relationship which was the intent behind Io’s words. Io continues using this archaic phrase henceforth. Eventually, the protagonist connects the dots and manages to infer the meaning hidden in Io’s proclamation. 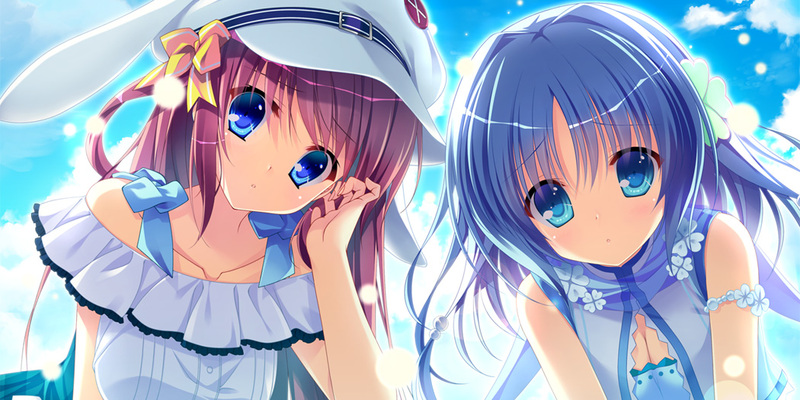 Dal Segno manages to provide meaningful heroine routes which are rife with drama and deliver a gut-wrenching emotional punch for good measure in their respective climaxes. I would recommend this visual novel to all those who prefer lighthearted slice-of-life stories and are familiar with Circus’ previous Da Capo stories. Although vestiges of familiar territory linger throughout, there is enough here to satiate even the most well-versed in this genre. I hope all of you who read this visual novel have as much as I did when working on this title when you visit the paradise by the name of Kazana Island! D.S. 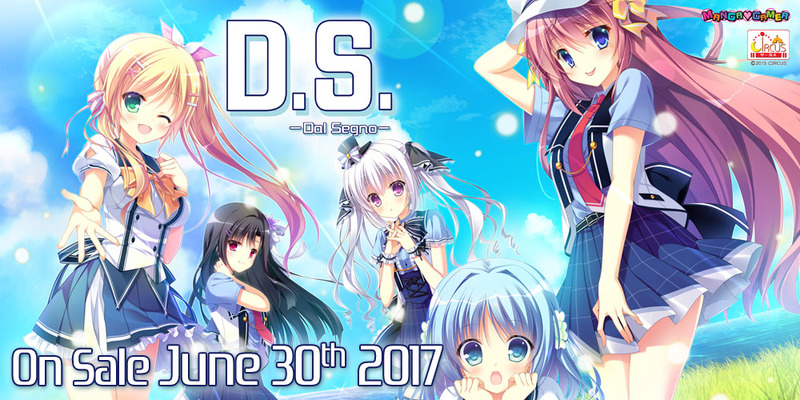 Dal Segno will be available on MangaGamer.com and Steam on June 30th! Get your copy today for 10% off! Tagged Circus, d.s. dal segno, dal segno.